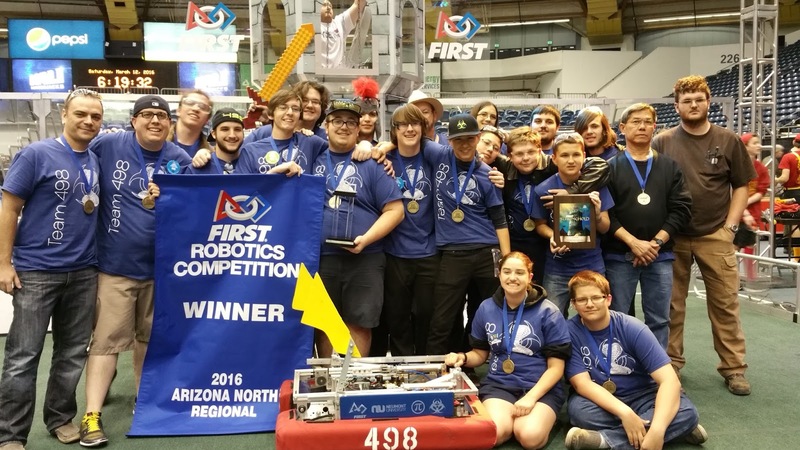 Vyrotek: Team 498 - Arizona Regional Champions! 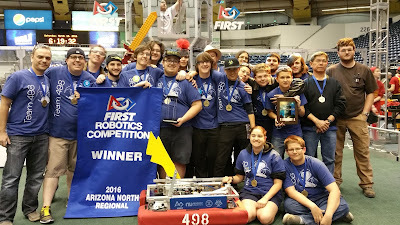 Team 498 - Arizona Regional Champions! After moving back to Arizona I got in touch with a friend who was still volunteering with our old high school FIRST robotics team. He and I were part of the original founding team back in 2001 and I was excited to have the opportunity to work with him as mentors this year. 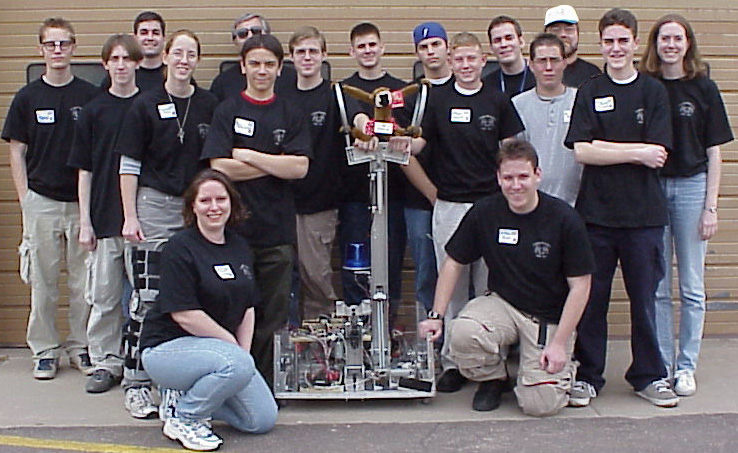 After 15 years being away it was time to get back to work and build a robot! This year's challenge was the most complex game I had ever seen put on by FIRST. After a busy build season, long nights, and some intense matches in Flagstaff I'm proud to announce that Team 498 were regional champions and have qualified to participate in nationals!